Cora Weaver lives in the shadow of the Malvern Hills in Worcestershire. Educated at St. Albans, Portsmouth and Oxford she holds a Master's degree in English Local History. She is internationally renowned as a specialist in a variety of subjects including: spas and health resorts, springs and wells, the life of Edward Elgar, Florence Nightingale, the historic water cure and aspects of Malvern's history. Her professional services include research, publishing, broadcasting, and lecturing. Florence Nightingale (1820-1910) is best remembered for her work in the Crimean War hospitals, nursing sick and wounded soldiers. By the time she returned to England in 1856, a combination of the dreadful conditions at the Barrack Hospital at Scutari, and a severe illness that she had contracted in the Crimea, resulted in the complete breakdown of her mental and physical health. 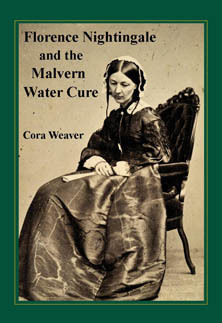 Ten times she visited the spa of Great Malvern to recover, and in Florence Nightingale and the Malvern Water Cure, Cora examines Florence's illness and how she tried to resolve it. 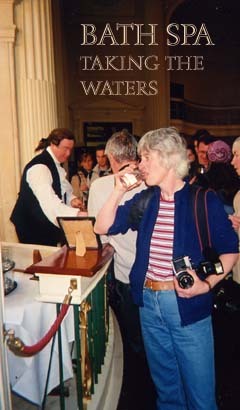 The book also reveals many previously unpublished facts about Florence's life in Malvern. Florence Nightingale and the Malvern Water Cure, by Cora Weaver (2016), A5, 28 pages, 14 illustrations. Send a cheque for £4.49 (includes p&p) payable to Cora Weaver, with your name and address, to Cora at: 4 Hall Green Malvern Worcs WR14 3QX. and the Nightingale Trail around the National Parks. Click on the website link below to see a range of Cora's publications now on sale.